The 800 x 400mm high gloss white floor standing unit with ceramic basin top, make the most of your bathroom with our practical and attractive furniture options. The high gloss white floor standing unit is part of the new minimalist furniture range which will give a contemporary look to your bathroom. 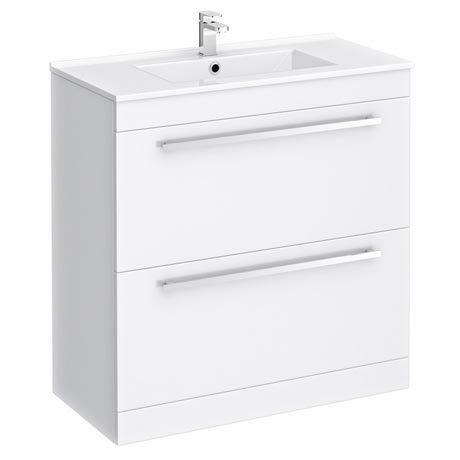 All high gloss white vanity units feature a high quality ceramic basin. Q. can this be supplied without the sink ?